Apple launched the first TV ad for the iPhone during the Academy Awards, with a montage of ‘hello’ moments from movies. The 30 second ad begins in black and white with a phone shot from Alfred Hitchcock’s 1954 movie, “Dial M For Murder”. 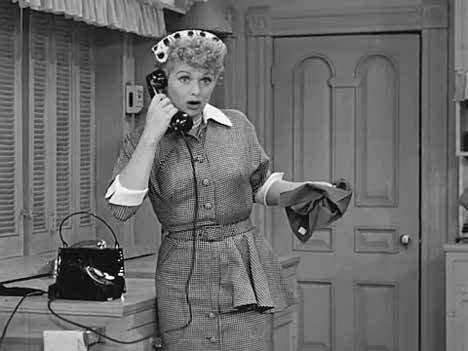 Lucille Ball answers a ringing rotary telephone, “Hello”. Characters from 31 movies and TV shows take it in turn to answer the phone and say “Hello”. 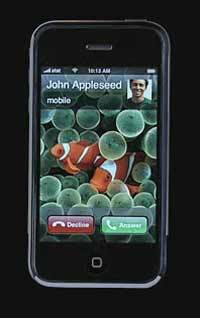 The spot finishes with an iPhone featuring the name of John Appleseed, and the two phrases, “Hello” and “Coming in June”. The Apple iPhone Hello commercial was developed at TBWA\Media Arts Lab by chief creative officer Lee Clow, executive creative director Duncan Milner, creative director Eric Grunbaum, art director Alain Briere, executive agency producer Cheryl Childers, agency producer Anne Oburgh. Filming was directed by Mark Coppos and Virginia Lee via Green Dot Films, with producer Sharon Lorick, director of photography Rebecca Baechler, executive producer Rick Fishbein. Editor was Jared Coller at Nomad with executive producer Nicole Steele. Colorist was Stefan Sonnenfeld at Company 3. Sound was mixed by John Boland at Play with producer Pam Doyle. The music in the spot is “Inside Your Head”, performed by Eberg, Instant Karma Records.